Most often, the steroid is used by representatives of sports with weight categories. Taking the drug increases strength, muscle density and aggression. Very often practiced once used on the eve of important competitions. The big advantage of Halobol is that despite the high rate of anabolic activity (1900% of testosterone), the drug does not cause a sharp increase in muscle mass. The mechanism of action of fluoxymesterone has not yet been fully studied, the main theory is its non-receptor effects on muscles. 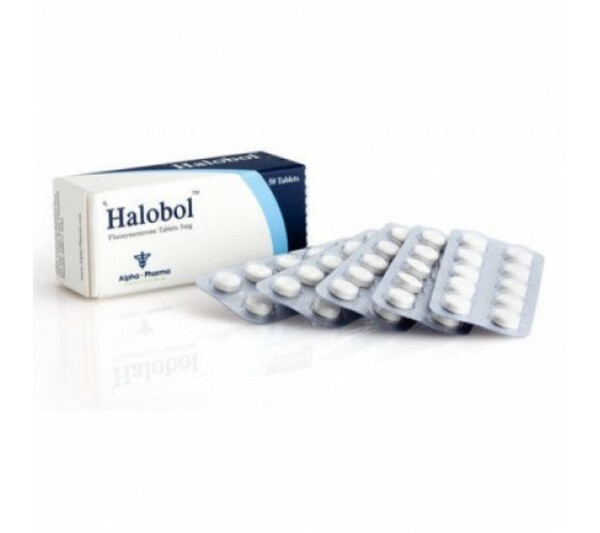 Halobol is a very dangerous steroid in terms of side effects, because its androgenic activity is very high, and is 850% of testosterone. The average duration of the substance is about 8 hours, the time of detection at the doping control is 2 months. Accepting Halobol by competing athletes is a big risk, especially if masking agents are not used. Of course, Halobol course should be coordinated with a specialist. This is probably the most powerful oral steroid today. In the presence of health problems and any contraindications to take the drug is highly undesirable. As practice shows, it is advisable to use Halobol from Alpha Pharma on the eve of the competition. A single application minimizes the risk of adverse reactions and unwanted physiological changes. As for how to take Halobol with other anabolic and androgenic steroids, joint courses, especially with oral medications, are not recommended. The optimal dosage of the substance is 10 milligrams per day, the maximum allowable is 20. The combination of Halobol with other AAS will give absolutely no advantages, except for the increased load on the body. There can be no talk about women taking steroids. For fluoxymesterone, the characteristic increased rate of dihydrotestosterone formation. This can give such side effects from Halobol as the development of adenoma, hyperplasia and prostatic hypertrophy, the development of cancers. Another inevitable reaction is damage to the liver. Taking the drug often causes pain in the right hypochondrium. Studies have shown that prolonged use of Halobol leads to an increase in the level of hepatic enzymes, and hence the process of degradation of liver cells.